Our dentist, Dr. Akbar Masood is dedicated to providing quality results and is a leading cosmetic dentist in Laurel MD. He uses the latest dentistry techniques to provide each one of his patients with healthy and gorgeous smiles. Moreover, Dr. Akbar Masood considers it extremely important to educate his patients on ways to prevent oral health problems before they happen and at all times, he keeps his patients informed about the state of their oral health. For more information about Dr. Akbar Masood, continue reading below. Having grown up in Germantown, MD, Dr. Masood studied at the University of Maryland, College Park, where he received a B.S. in Microbiology. Then, he obtained his dental degree from the University of Maryland’s School of Dentistry and recently become a Fellow in the Academy of General Dentistry, which is an honor held by no more than 10% of general dentists. Now, he resides in Columbia, MD, where he lives happily with his wife and three beautiful children. 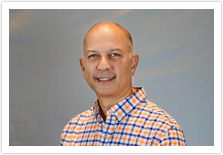 Dr. Akbar Masood graduated from the University of Maryland Dental School in 1991. Prior to studying at University of Maryland Dental School, he attended University of Maryland, College Park. Dr. Masood has been practicing for over 27 years. He has been in his current location for almost 20 years. Since he began practicing dentistry, Dr. Masood has been member of the Academy of General Dentistry , obtained his Fellowship in 2012 and has kept up to date on many continuing educational classes, ensuring that his patients receive the most comprehensive and advanced dental care.